While construction work continues on Pinecone Road, two new projects start Monday, June 11. Pinecone Road is closed from 15th Street to 27th Street and from 35th Street to 40th Street. Riverside Avenue and 12th Street N. are the best routes for drivers on the south end of the detour. 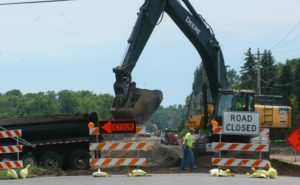 A special website has been created for updates on the Pinecone Road project at http://detour.sartellmn.com/. The site features a map showing the project with detour routes as well as a form to submit questions. Two other road projects begin Monday, June 11. The Heritage Drive roundabout at Fourth Avenue S. and Leander Drive will be closed until June 16. Fourth Avenue just north of the Heritage Drive roundabout will be closed until the end of June to finish paving and striping. The Pinecone Road project is designed to accommodate traffic growth and increase safety. More than 5,000 vehicles travel on Pinecone Road N. every day. The road will be widened and a walking path will be added. Two new roundabouts will create easier access for buses and drivers heading to the new high school opening in fall 2019. There will be new lighting and school flashers installed surrounding pedestrian crossings. On the east side of Sartell, the First Street NE./Benton CR 29 project that was started May 14 continues with eastbound traffic reduced to one lane from Benton Drive to just west of Hwy. 15. The street is closed to westbound traffic. The closure is expected to last most of the summer. 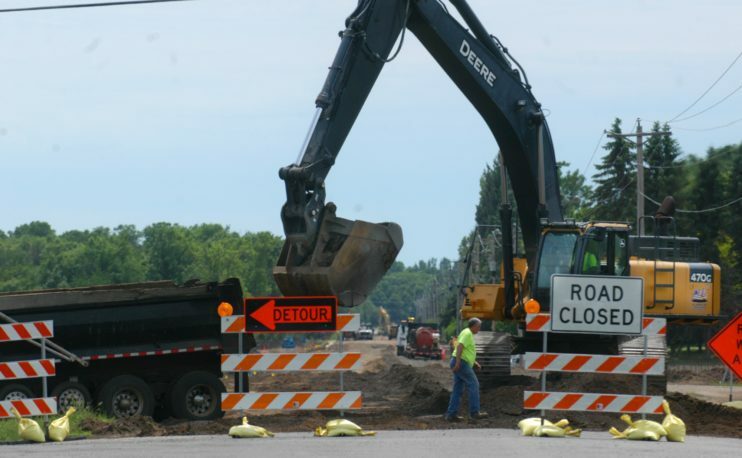 Construction work continues on Pinecone Road south of 27th Street on June 7.